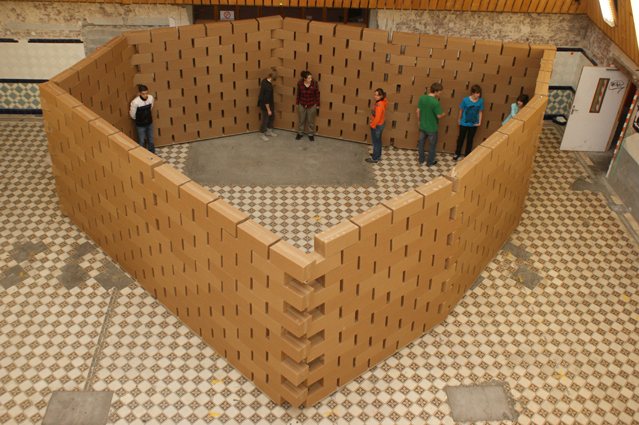 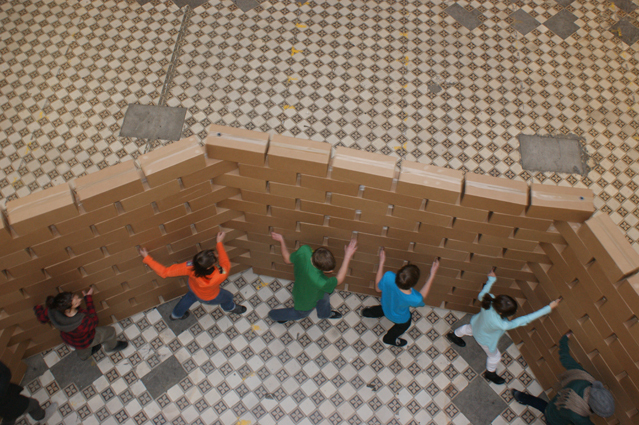 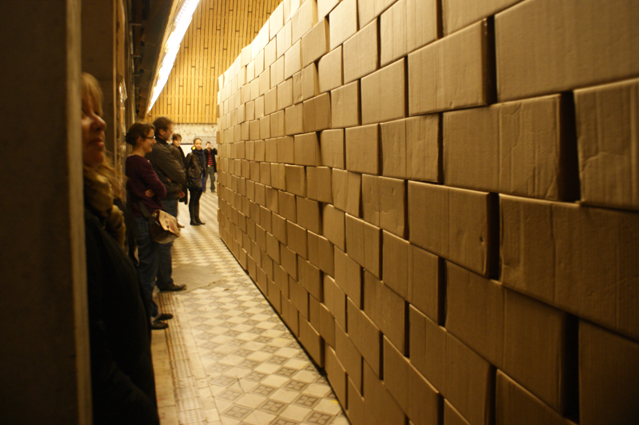 cardboard - 2,70m x 26m in 380m2 (variable dimensions) - Performance of 15min. 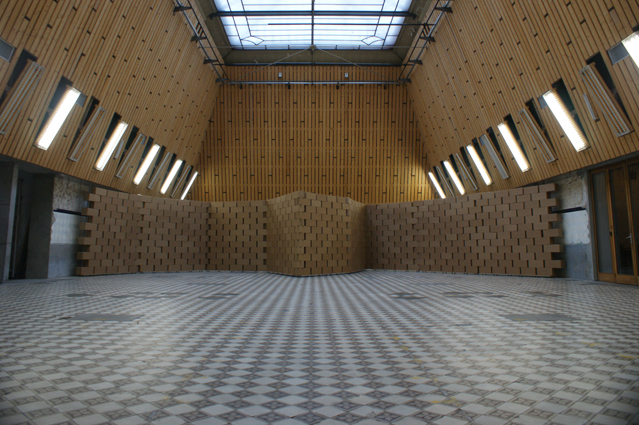 This project has been conceived as a dialogue with the already existing Patrick Bouchain’s architecture. 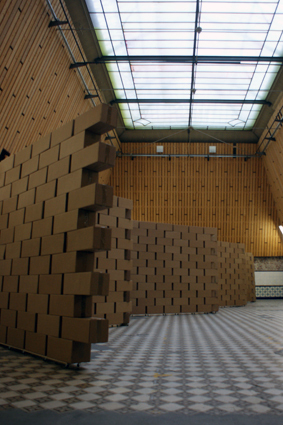 Walls are moving thanks to nine articulated units in perpetual motion, that force the viewer to move over the course of figures and trajectories of the walls.